The Max range of fluorescent lighting for marine and offshore environments now has a kit available for LED conversion. 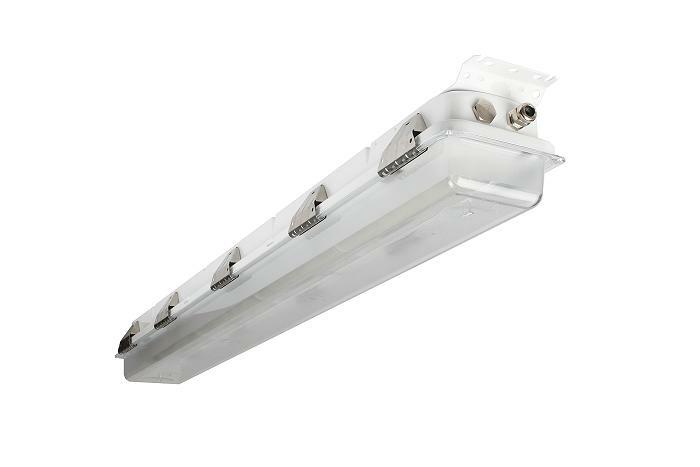 To keep up with the growing demand for LED lighting, Glamox has launched an LED replacement kit for its popular MAX range of T8 fluorescent light fittings. The benefits of upgrading to the new LED version are longer product lifetimes, a reduced carbon footprint, improved energy efficiency and lower maintenance. For more than 20 years, the MAX range has been one of Glamox’s best selling products for the global marine, onshore and offshore markets. The LED kit is designed to make the replacement as quick and easy as possible. The kit consists of a new diffuser and a new gear tray with an LED strip, including a new IC driver. The diffuser is made from impact-resistant polycarbonate and is supplied with holes for safety wires. The clips that are used to attach the diffuser to the housing are also replaced with special, extra robust versions.